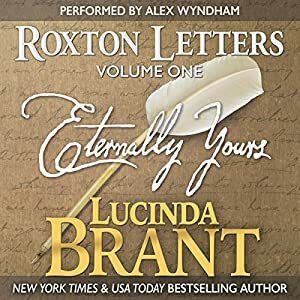 Audiobook Review: ROXTON LETTERS, ETERNALLY YOURS by Lucinda Brant ~ absolutely brilliantly done! These are letters from the private correspondence of the Roxton family, spanning 1743-1777, with extracts from the diaries of Antonia, fifth duchess of Roxton and seventh duchess of Kinross. They include Roxton’s last letter to Antonia. This volume complements the first three books of the award-winning Roxton Family Saga: Noble Satyr, Midnight Marriage, and Autumn Duchess, with a foreword by a late-Victorian descendant, Alice-Victoria, 10th duchess of Roxton. I didn’t think listening to narrated letters would elicit such emotion from me. Many a time, while listening, the feelings of deep emotion would set the tears to falling, not small tears, mind you, but bit tears which certainly would have stopped me reading if I had been reading, not listening. Narrator is superb in his craft, there is no doubt. Then there were the times when Antoine as a young girl wrote to the Duke, hoping to have a letter in return. These were quite silly and would have captured any hardened duke-ish heart, bringing smiles to my own. Narrator Alex Wyndham heightened the experience with narration par excellence, as he has done throughout the series. These letters were so realistically, I had to pose a question to the author. The book mentions the foreword written by a late-Victorian descendant, Alice-Victoria, 10th. I then Googled this person and found none. With this unanswered question, I asked author Lucinda Brant if the Roxton family is in any way tied to specific persons in history. The many letters within this book of 170 pages were mentioned in the first three books of the saga. As you know, during that time letters were very important to people. Travelling was difficult, so they resorted to lots of letter writing. The author decided, and I must say it’s brilliant, to write these said letters, allowing the reader to gain better understanding of the deeper emotions and frame of mind of the characters. The descendant, the 10th Duchess of the Roxton’s, also from the imagination of the author add even more to these letters. Brant made her so realistic I had to find out if she were real. Brant also states she may write a book set around the time of this Duchess, living during the 1890s. Whatever time period this author writes in, her eloquent style, and descriptive scenes captivate and enthrall the reader or listener. Once book six is written, she will write volume II of another set of letters. I have just finished listening to Proud Mary, book four of the saga. I continue to be mesmerized with the saga. 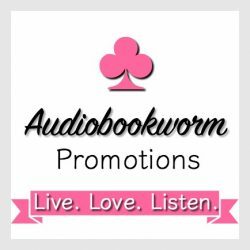 This entry was posted in Audiobook, Audiobook Review, Georgian Historical Romance, Historical Romance, Romance and tagged Alex Wyndham, Eternally Yours, Lucinda Brant, Roxton Letters. Bookmark the permalink. 7 Responses to Audiobook Review: ROXTON LETTERS, ETERNALLY YOURS by Lucinda Brant ~ absolutely brilliantly done! I do so agree, Eileen! Isn’t Lucinda just terrific? And she’s a lovely, warm, supportive person too which is why she writes with such deep emotional understanding and empathy. Eileen, I have read/ listened to all the Roxton series to date but I have yet to listen to the Roxton Letters. I shall have large box of tissues at the ready, especially as Alex Wyndham’s narration is, as you say, ‘par excellence’. I’ll be working on my review of Proud Mary, another great winner! Thank you for stopping by Wendy. Some day I want to begin the series all over again without any other author reads between hers. That would give me such satisfaction! A pleasure having you here. I remember the Grand Canyon expedition with fondness! Yes, to read/listen to the series back to back would be wonderful and toimply enjoy the books without having to think about reviewing them. Oh yes, I remember that trip well. Eileen, I’m so thrilled that there is yet another Brandt/Wyndham fan in this world. I have read the first two books in the series and look forward to reading/listening to the rest. Thanks for a very nice review.